A Base Beam is used on a workover rig for stabilization. They are used in place of ground anchors. 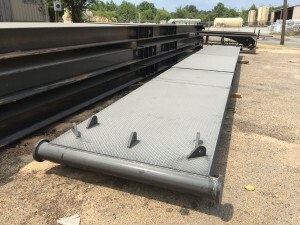 Guice Base Beams set the standard for internal guying solutions. They are designed to meet requirements of API RP 4G 14.3. Our beams are proven to decrease rig up and rig down times and will endure the rigorous stresses of the oilfield. We manufacture in-house at GEI Welding. 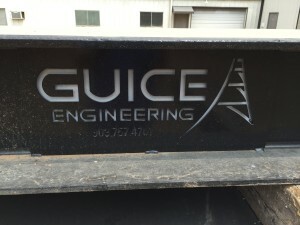 Each beam comes with an assigned serial number to prove it’s a Guice Base Beam. 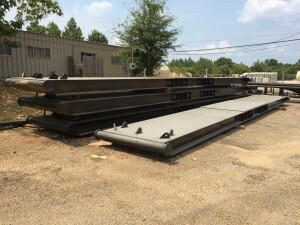 Guice Base Beams come in 3 standard widths, 2 different variations and can be customized and painted to your specific needs. Base Beam certification is free when manufactured by GEI Welding! To pair great engineering with common sense to consistently deliver solutions that improve oil and gas operational progress.